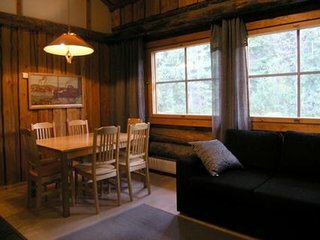 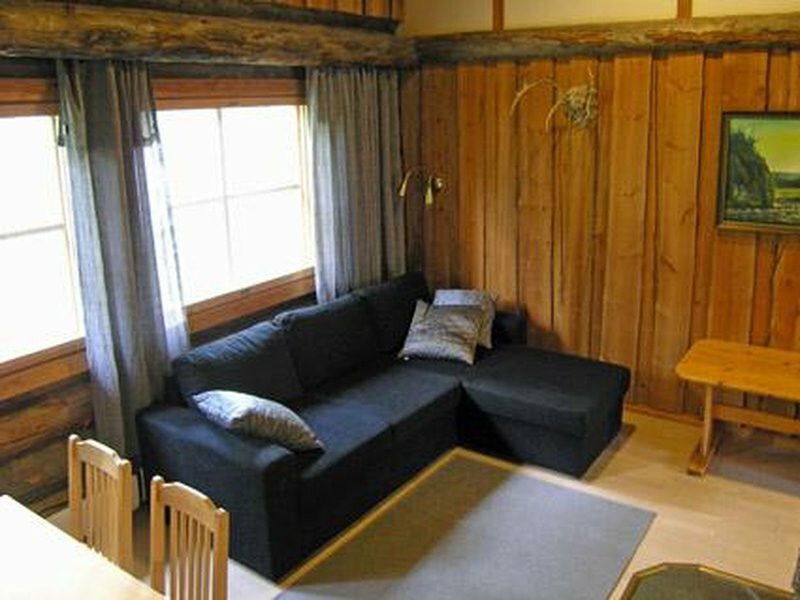 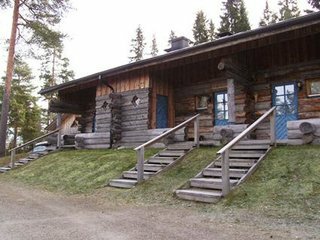 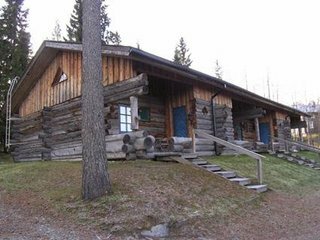 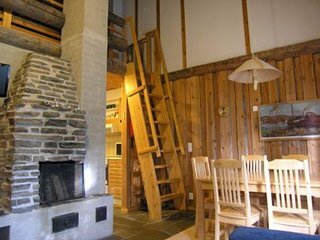 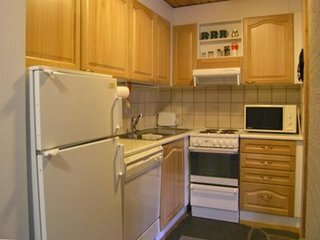 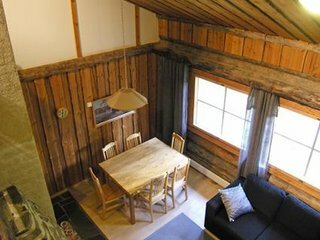 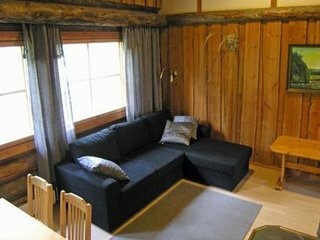 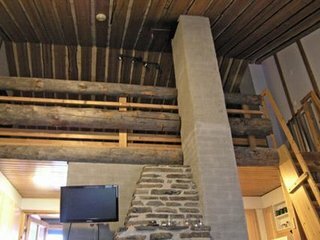 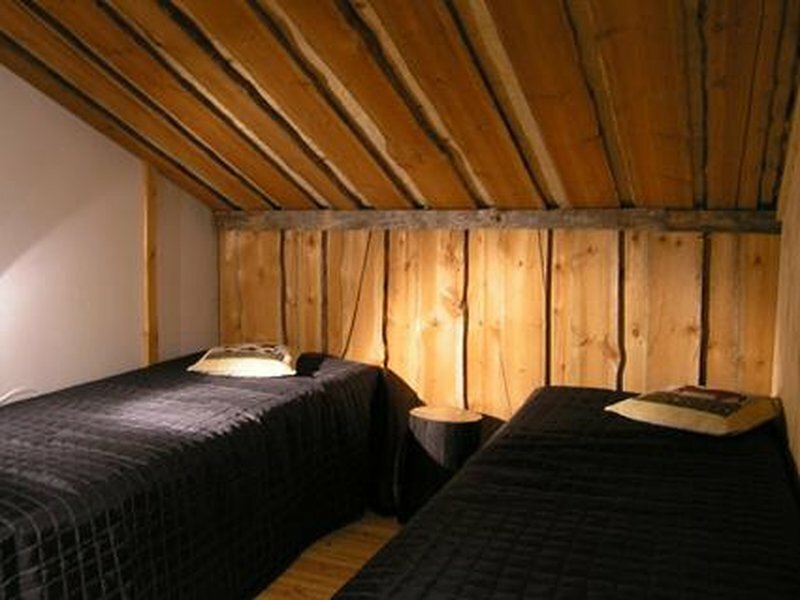 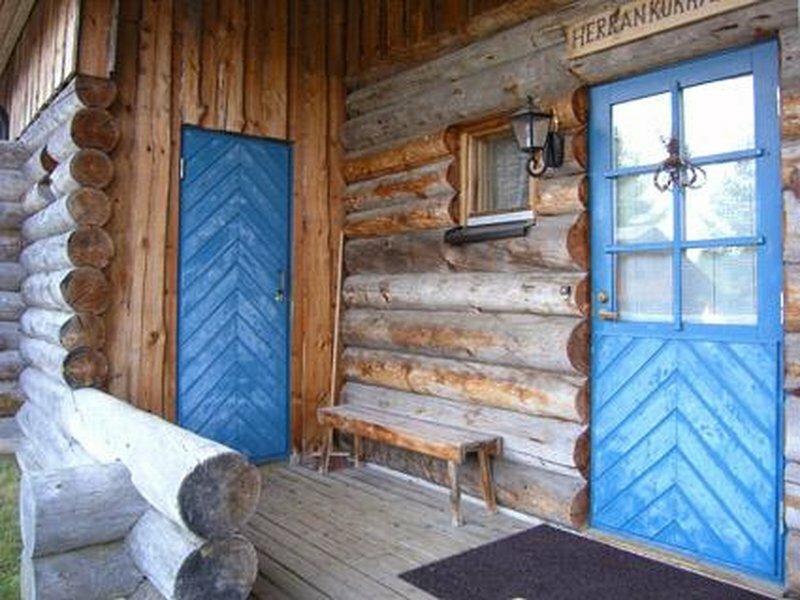 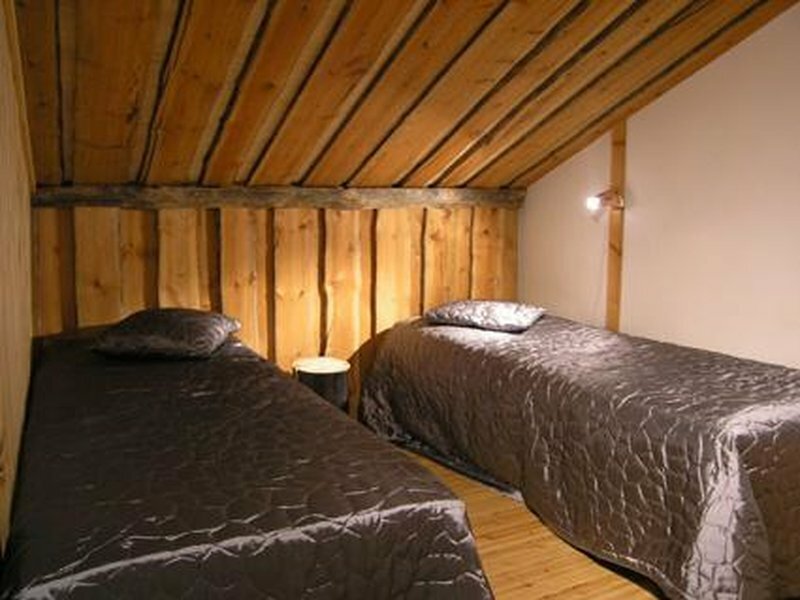 This log row house apartment is located in Vuokatti ski centre. Floor area 48 m², loft 15 m² (sloping ceilings, low room height, steep stairs). 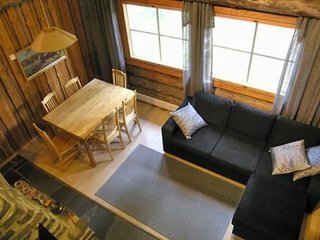 Combined living room & kitchen, with sofabed for two persons. 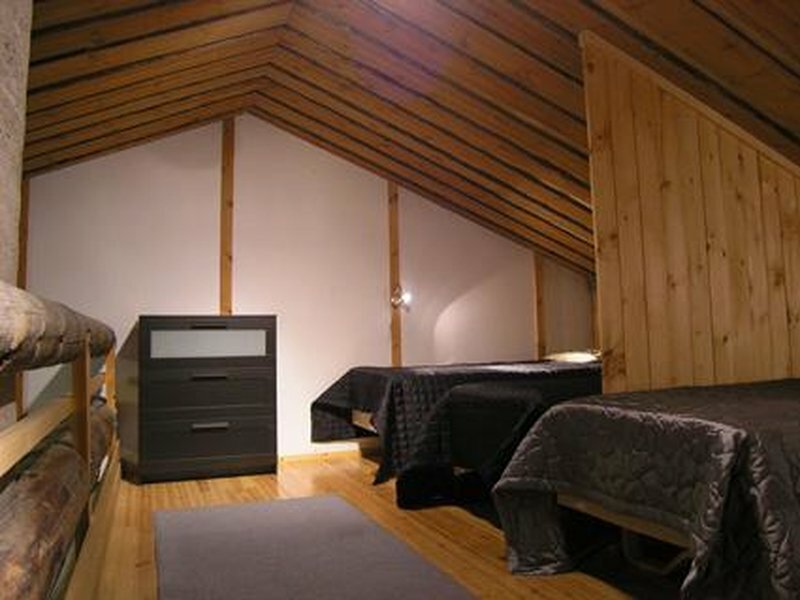 Loft with separate beds for four . 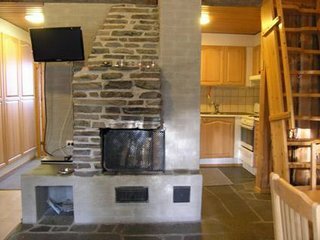 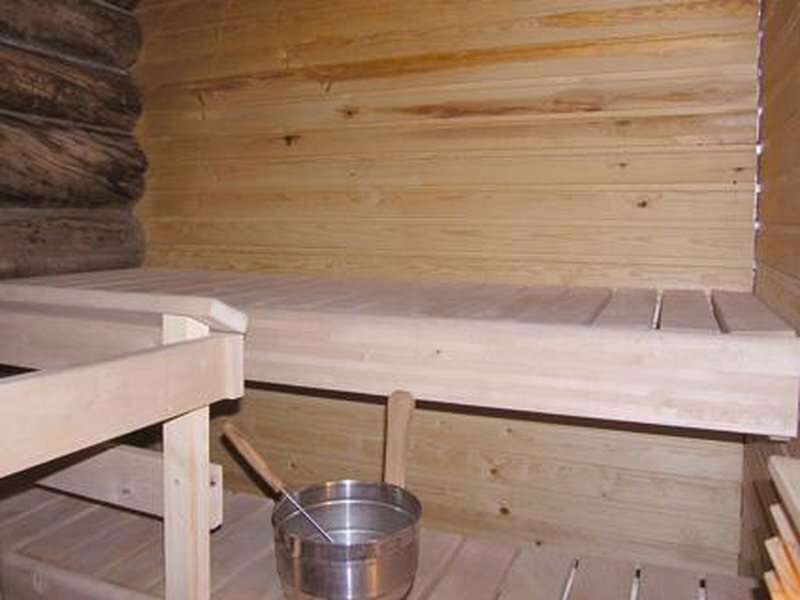 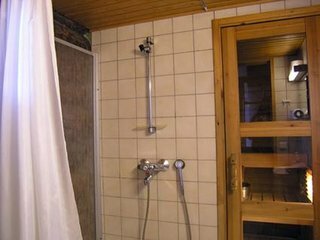 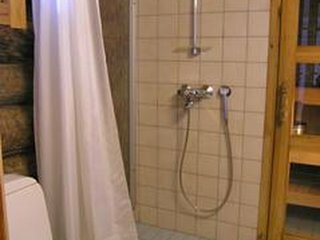 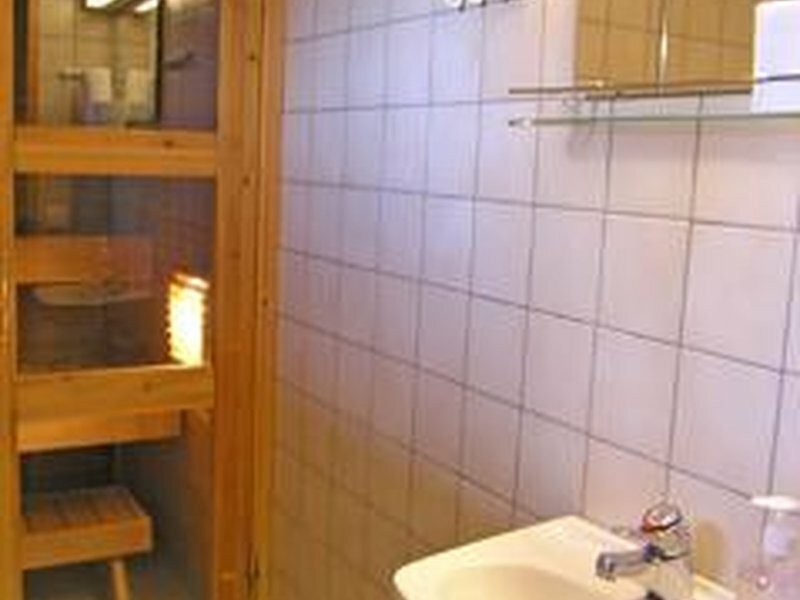 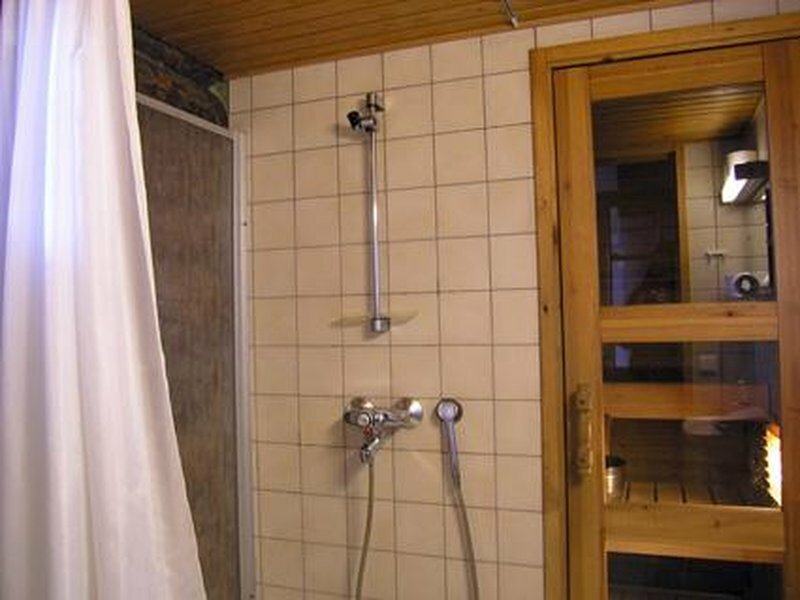 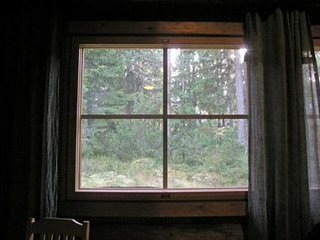 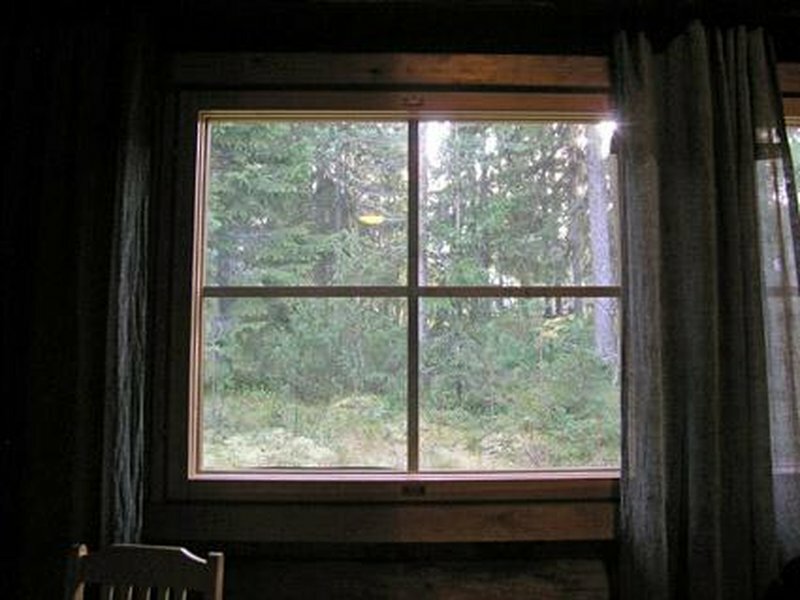 Sauna (electric heating), washroom/toilet. 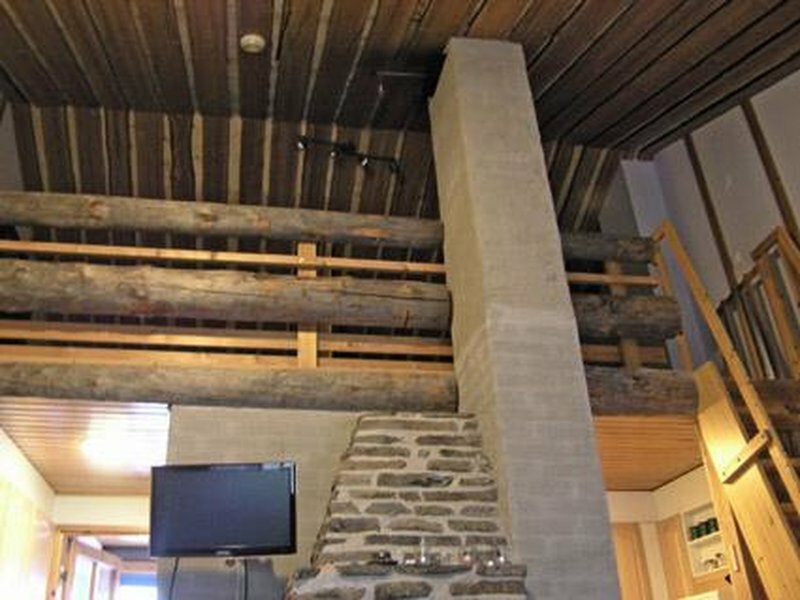 Lockable ski storage. 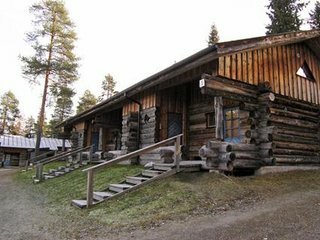 Kajaani 33 km, Sotkamo 7 km, Vuokatti ski slope 200 m, cross country track 50 m. Beach 1,5 km. 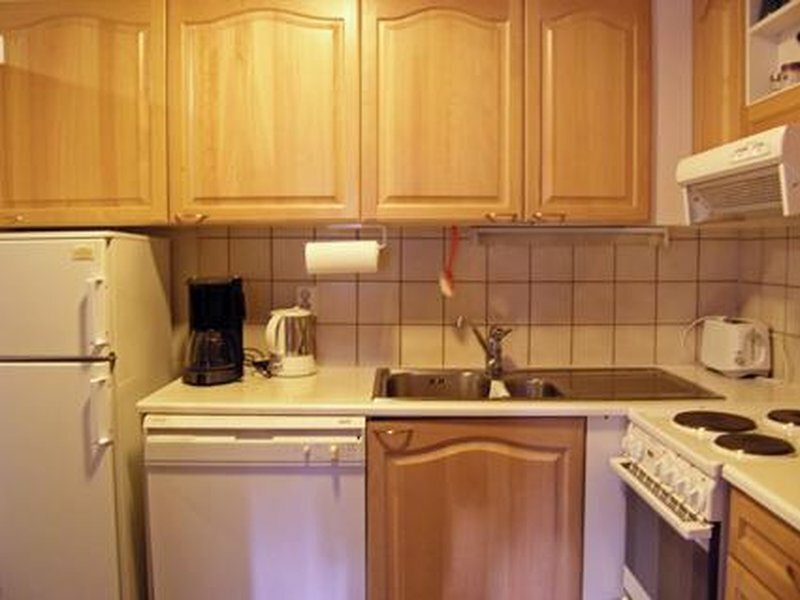 Cleaning not included, cleaning booked in advance 69 €. 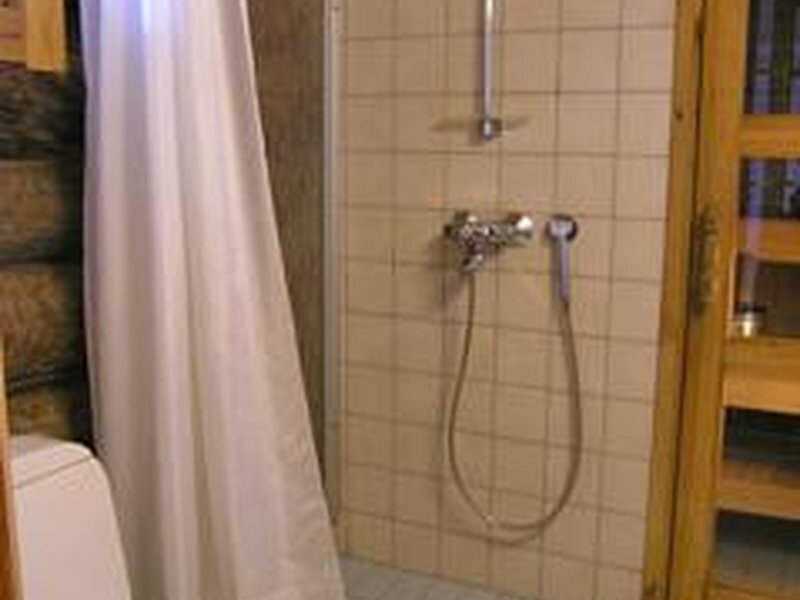 Linen booked in advance 24 €/person. No pets allowed. Check in at 4 pm on arrival day and check out at 12 am on departure day, also in case of a weekend stay.